Adherents of the Abrahamic religions have traditionally held that God is morally perfect and unconditionally deserving of devotion, obedience, love, and worship. The Jewish, Christian, and Islamic scriptures tell us that God is compassionate, merciful, and just. As is well-known, however, these same scriptures contain passages that portray God as wrathful, severely punitive, and jealous. Critics furthermore argue that the God of these scriptures commends bigotry,misogyny, and homophobia, condones slavery, and demands the adoption of unjust laws-for example, laws that mandate the death penalty for adultery and rebellion against parents, and laws institutionalizing in various ways the diverse kinds of bigotry and oppression just mentioned. In recent days, thesesorts of criticisms of the Hebrew Bible have been raised in new and forceful ways by philosophers, scientists, social commentators, and others. This volume brings together eleven original essays representing the views of both critics and defenders of the character of God as portrayed in these texts. Authors represent the disciplines of philosophy, religion, and Biblical studies. Each essay is accompanied by comments from another author who takes a critical approach to thethesis defended in that essay, along with replies by the essay's author. 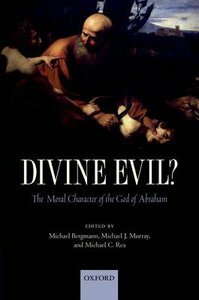 About "Divine Evil? : The Moral Character of the God of Abraham"